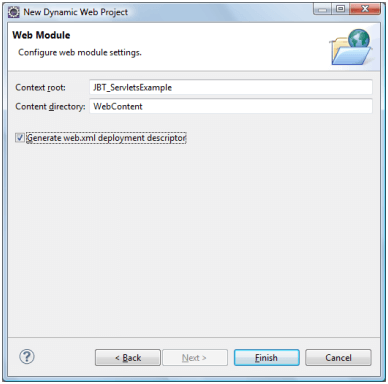 Here we will learn to create web application in Eclipse using Servlets and JSP. 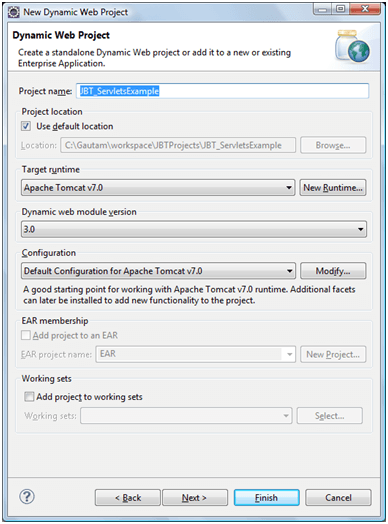 Open Eclipse IDE. If you are new to Eclipse then visit here to know more about Eclipse and how to install it. “Select a Wizard” screen will get displayed. 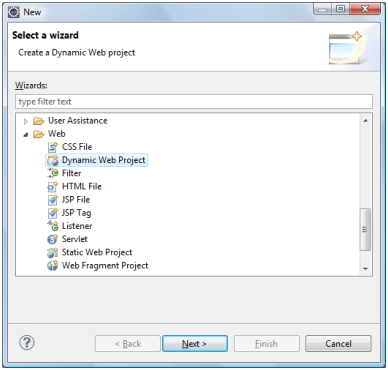 Select “Dynamic Web Project” from Wizard screen and click Next. 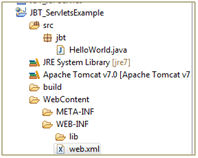 In the next screen provide the name of project as “JBT_ServletsExample” and click Next and again Next. Is uncheck. This is a default behavior if you are using 3.0 web module. Select it and click Finish. Now your Web application is created successfully. Structure of the application would be something like below. 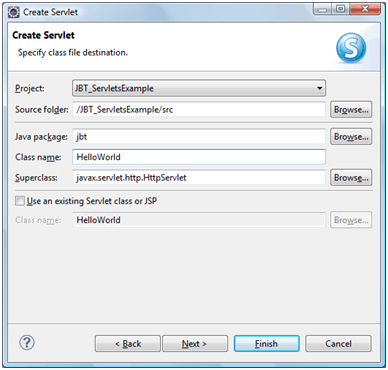 Now your Web project is created you can create First Servlet with it. Select source folder(src) and right click and go to New >> Package. 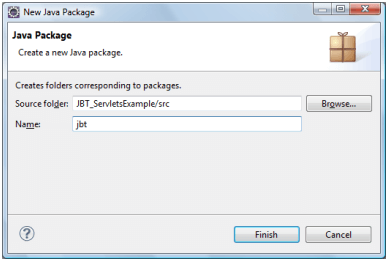 Here package wizard create jbt package. Select the newly created package and go to New >> Other. 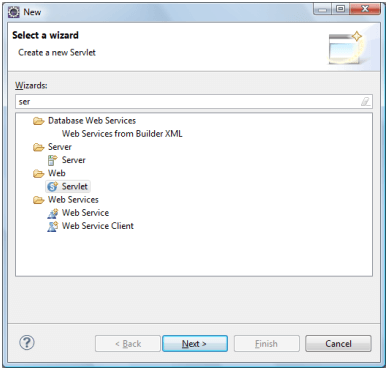 From the Wizard create Servlet. Click finish. 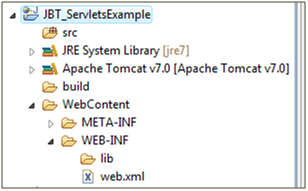 Servlet must have been created in jbt package. Make in web.xml to make it work. where is the next tutorial?